Valentines Day is just around the corner. 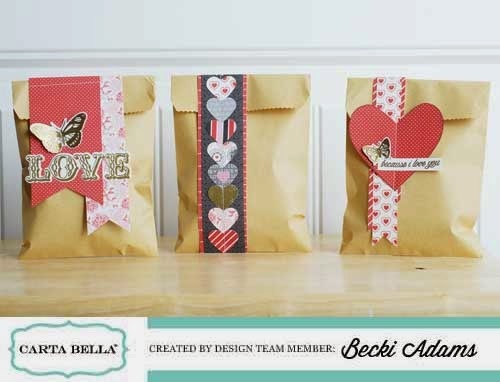 I created some Easy Valentines Day Treat Bags that I think you're going to love using the * Carta Bella Words of Love collection. This collection is classic Valentines Day. It's full of red, pink, white, and black. 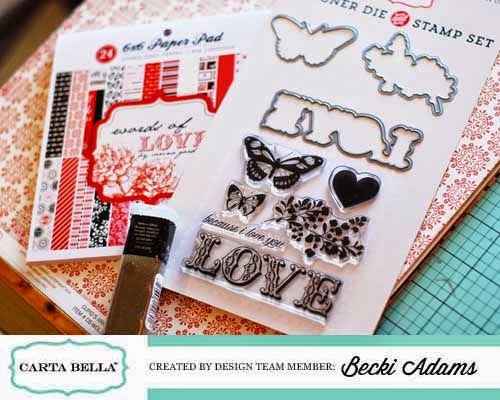 It's very traditional and perfect for all your Valentines Day crafts. 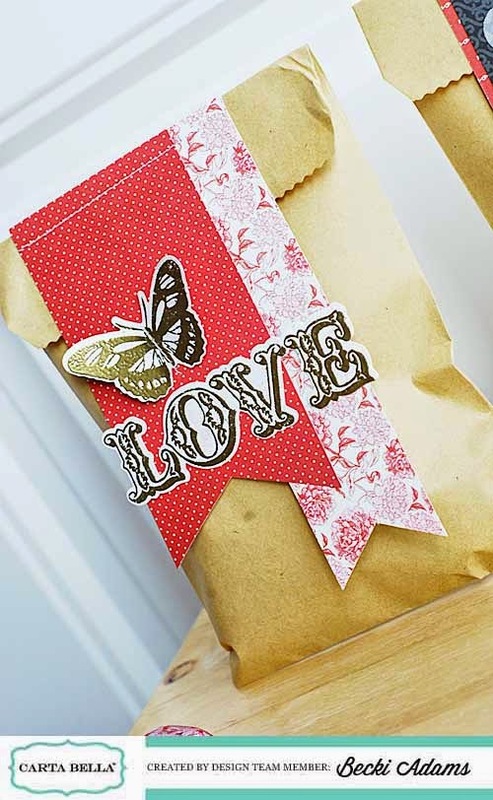 I found these small kraft paper bags in the one dollar spot at Target a few months ago. They're perfect for filling with treats to give out to your loved ones. (I found many similar options of * brown paper treat bags on Amazon. Oh, how I love * Amazon Prime ! As a prime member I'm pretty sure they're magic when I have boxes show up on my door step in less than 48 hours *sigh*). Anyway, back to the treat bags. These treat bags are so easy to make and don't require many supplies. The first thing I did was stamp several images onto a neutral piece of patterned paper and emboss them with gold embossing powder. I stamped several images and had them ready. I wasn't sure what I was going to do with them at this point. After I had them cut and set aside I started creating the bags. I just added some patterned paper to each bag, ran a few pieces through my sewing machine, and added my stamped pieces. 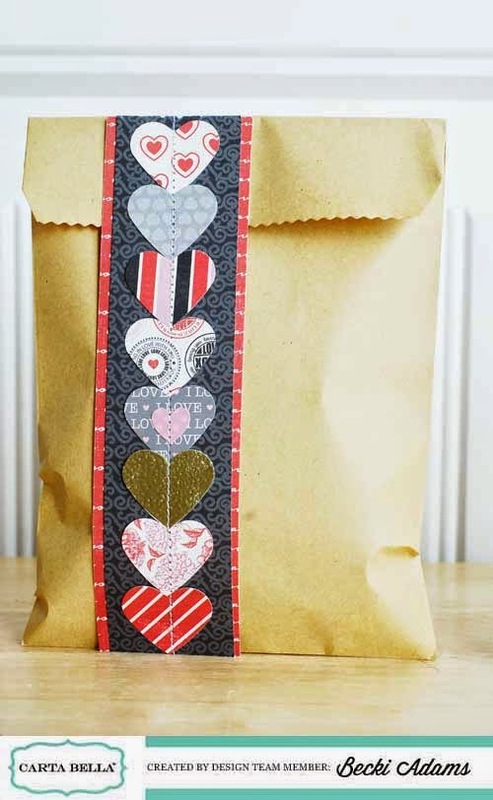 On this bag I punched out several hearts from different pieces of patterned paper and stitched them onto a black piece of patterned paper, so easy! The large heart on this bag is just hand cut. This bag just has a couple of hand cut banners behind the images that I stamped and embossed with gold embossing powder. That's it! 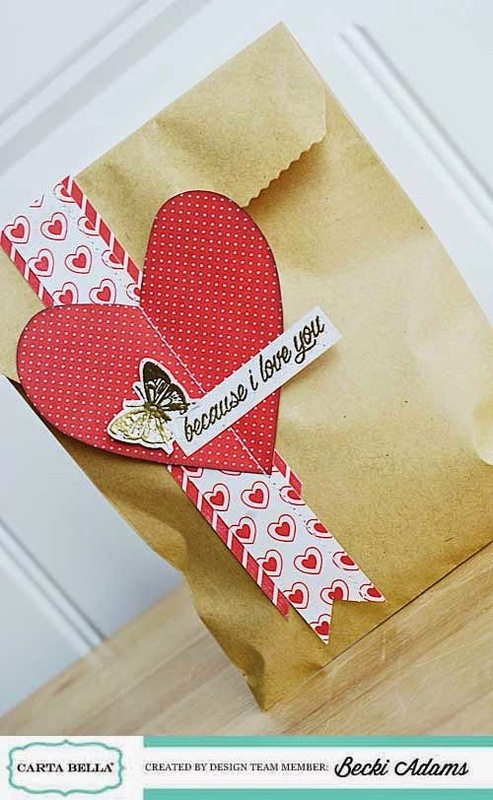 These Easy Valentines Day treat bags filled with * Hersheys Kisses and are ready for Valentines Day. These are the Valentines that my kiddos will be giving to their teachers. So cute. I especially love the bag with the row of stitched hearts. 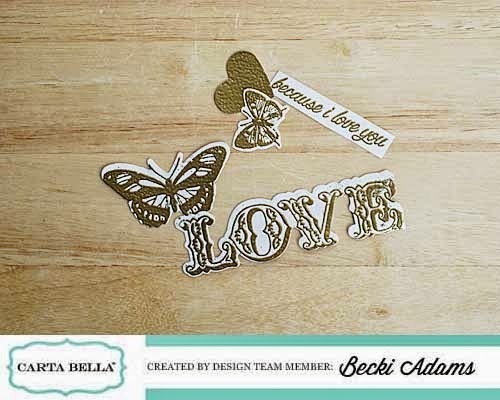 I am thinking these are perfect for some heart shaped sugar cookies!